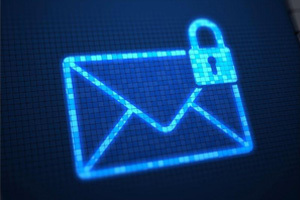 5 Layers of E-Mail Security That You NEED to Know - Daily Computing Solutions, Inc.
E-mail security is a set of certain methods and strategies to ensure that you don’t get tricked into any sort of e-mail fraud. Spam Emails – Spamming refers to flooding someone’s inbox by sending junk emails in bulk amounts. A common type of e-mail spam is one that indicates that you’ve won a prize. Phishing Attacks – Phishing e-mails are sent with the intention of obtaining sensitive information such as user names / passwords and credit card information. These e-mails are disguised as if they are being sent by a trustworthy company like Google or Bank of America. Spoofing Attacks – Spoofing and phishing attacks are similar. For instance, you receive an e-mail from “DHL” claiming that you have a package waiting for you, in order to receive the package, you need to click on a link and fill in your personal information. Trojan Attacks – Trojan attacks are malicious e-mails that contain dangerous attachments that are disguised as everyday files that we use. They come in PDF, Word, Excel, or Image type files. These files contain malicious software known as Trojan Horses. Trojan software is known for infecting your computer and being passed through the internet to other people you may know. Ransomware – Once a malicious email attack has been launched on your computer, the malware encrypts all of your files, locking you out! The attacker can now request payment to unlock your computer and give you access to your files again. The “WannaCry” Ransom attack was the biggest and most famous example in recent history. E-Mail security is a full time job. Our 13 page e-book on E-mail security is designed to give you insight on all topics that cause instabilities in e-mail systems. In 2018, E-mail security has reached new heights. If you need help securing your corporate e-mail systems, or are looking for ways to help train your staff to recognize and avoid e-mail scams, this guide is for you! You can download our e-book on e-mail security here.